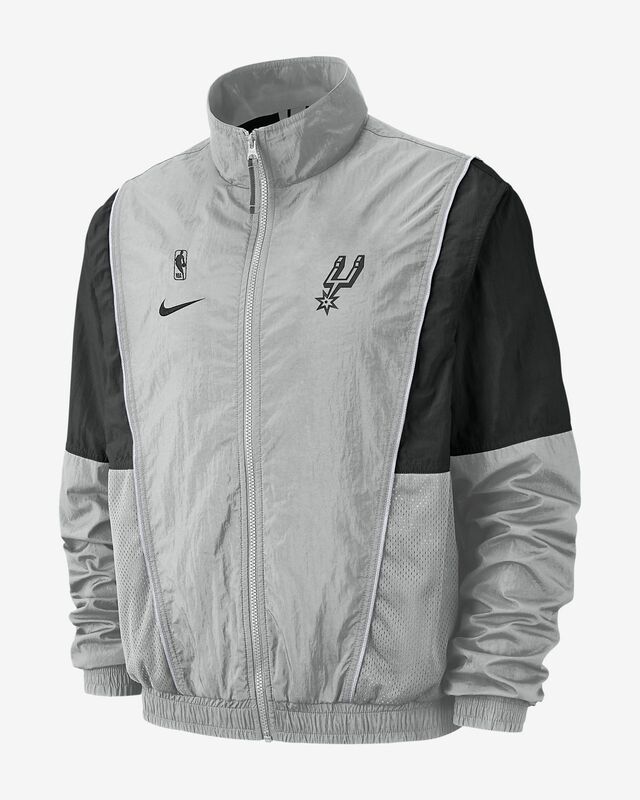 The lightweight San Antonio Spurs Nike Men's NBA Tracksuit Jacket revives a classic look with nylon fabric and a mesh lining to help keep you cool and comfortable while showing team pride. 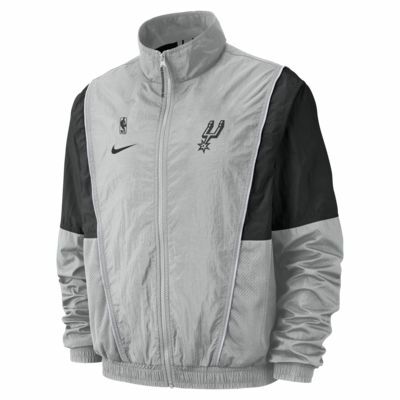 The lightweight San Antonio Spurs Nike Men&apos;s NBA Tracksuit Jacket revives a classic look with nylon fabric and a mesh lining to help keep you cool and comfortable while showing team pride. Have your say. Be the first to review the San Antonio Spurs Nike.